MOSCOW, December 5. /TASS/. 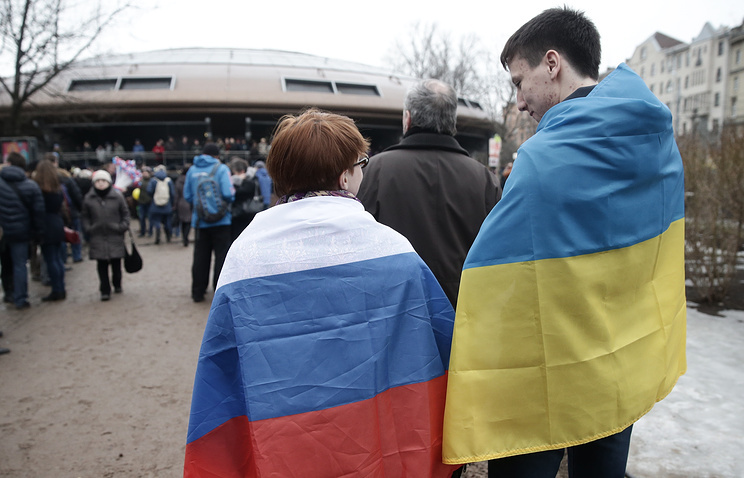 It doesn’t take a lot of brainpower to cancel agreements with Russia but it is unclear whether Kiev can offer a legal alternative for its citizens, Russian Foreign Ministry Spokeswoman Maria Zakharova told a briefing on Wednesday. "Virtually every day, we can hear Ukrainian officials rant and rave about how many agreements, treaties, and legal acts with Russia they have already trampled on or torn up, or how many of them are currently being broken and how many will be broken in the future. Firstly, you don’t have to be very smart to make such statements, and, secondly, break them," she stated. The diplomat noted that the main question is "how to carry on living and whether they have any alternative, not for the Russian side, but primarily for their citizens, <...> a legal alternative that would regulate relations that the peoples of both countries is required." On September 17, Ukrainian President Pyotr Poroshenko signed a decree on enforcing the decision by Ukraine’s National Security and Defense Council to terminate the Treaty on Friendship, Cooperation and Partnership between Ukraine and Russia. Later on, the Ukrainian Cabinet instructed the Foreign Ministry to notify Russia and international organizations of Kiev’s desire to end the treaty by September 27. At the same time, the government instructed Ukraine’s Foreign Ministry, the Ministry of Justice, the Economic Development Ministry and the Finance Ministry "to ensure that the Cabinet submits this bill to terminate the treaty with Russia to the president" by October 22. 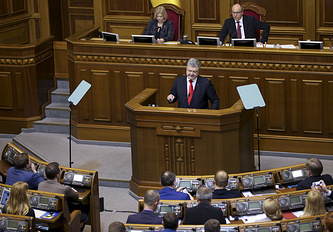 According to Ukrainian legislation, now the document should be ratified by the parliament. On Monday, December 3, Poroshenko submitted the bill on renouncing the Treaty on Friendship, Cooperation and Partnership between Ukraine and Russia to Ukraine’s Verkhovna Rada. The treaty is set to be dissolved on April 1, 2019. The document specifies that its termination "releases Ukraine from any obligations on abiding by it and affects no rights, responsibilities or legal status of the country, which emerged as a result of adhering to the treaty before its dissolution." The Treaty on Friendship, Cooperation and Partnership between Ukraine and the Russian Federation was signed in May 1997 and entered into force in April 1999 for a period of ten years, with an automatic extension for the next decade on a no-objection basis. October 2018 was the deadline when the parties had to declare their intention to extend the treaty or terminate it.